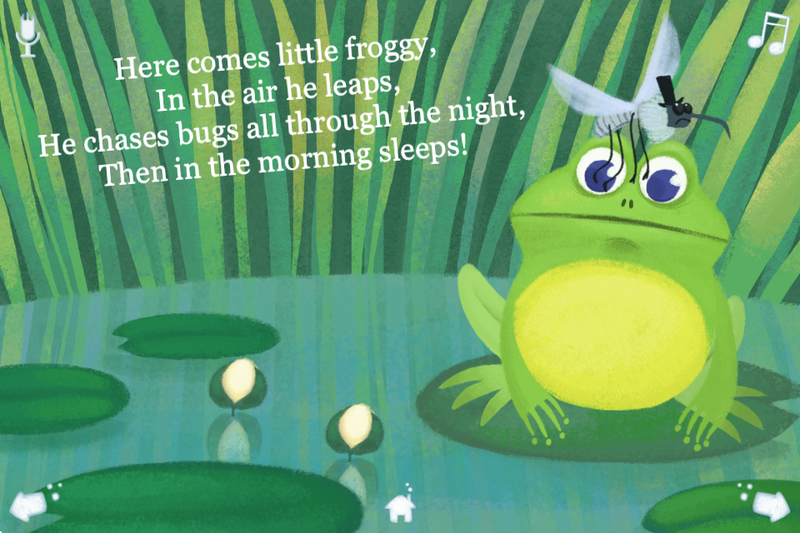 This is a short but sweet book with a simple interface and lots of appeal for the under six crowd. 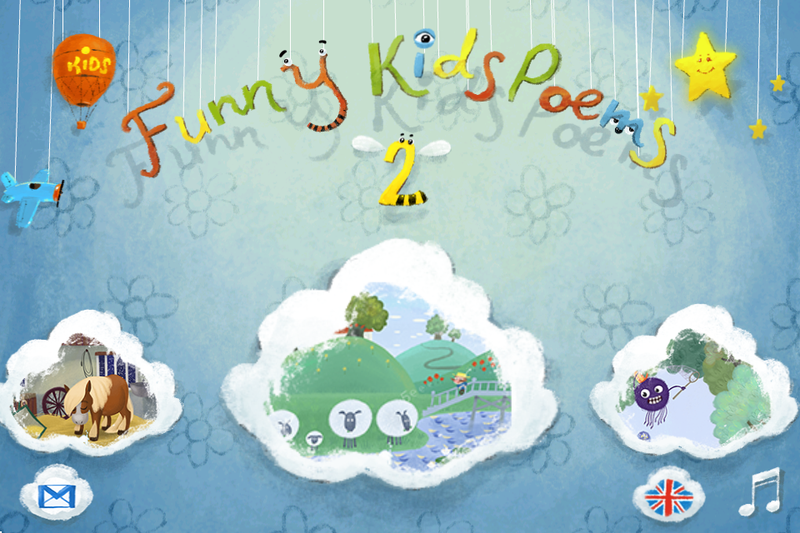 For the youngest readers, this app will be a treat, featuring lots of well-produced interactive and animated elements. 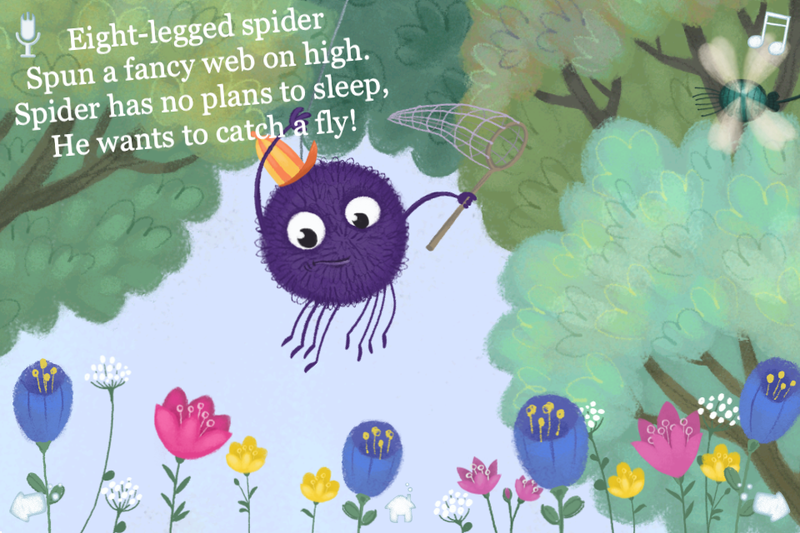 Beautiful bugs flutter, the sun sets with moon rising, or a dandelion transforms, blowing away its delicate seedlings ... these are some of the lovely enhancements on offer over the twelve pages of this book of verses. Simple, but but well-crafted lines of poetry are nicely narrated in either British English or Russian. Tap a small flag in the left-hand corner to change language or mute device for silent reading. There is a home button on each page, plus a setting to silence the background music on the cover, which is helpful since the tune is on a rather short loop. 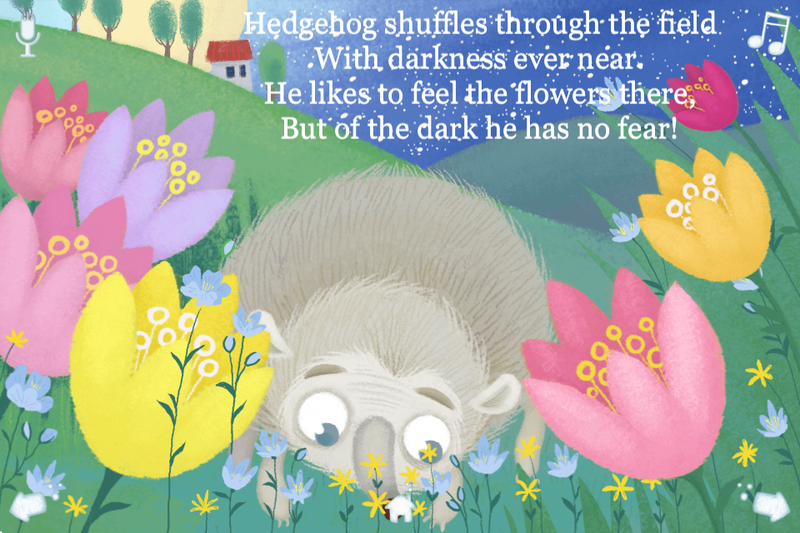 Text is in an easy to read font with relatively simple word construction that would be suitable for early readers, although it doesn't highlight as spoken. Since these 12 short rhymes could be read in any order and still make sense, it's nice that the cover is also a page guide (see screenshot). The title of this app may have lost something in translation, but the rest of WeAreFaces' presentation is delightful. The sweet rhymes pair nicely with the illustrations and all the enhancements feel lovingly detailed, including motion activated elements. Story comprehension, however, might be lost somewhere in the process. 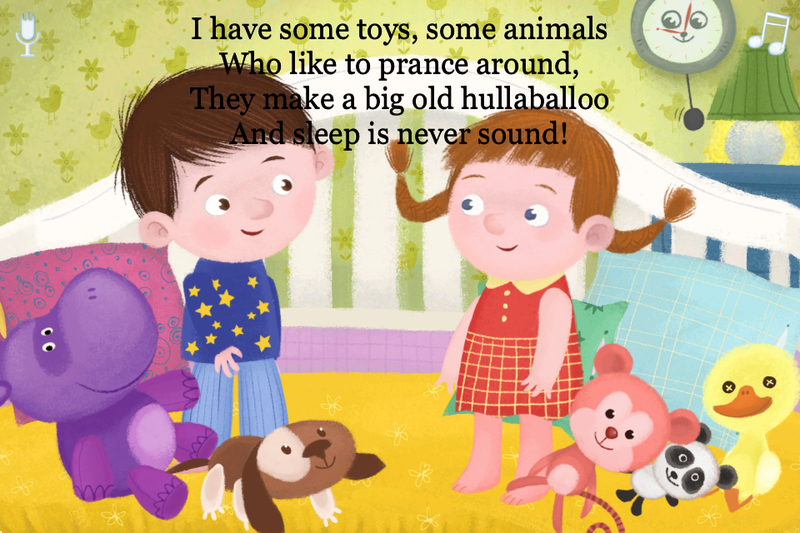 There is so much to explore that the rhymes become part of the background experience with this app. Yet the foreground experience was so lovely ... it won my child and I over. Recommended.